Kathryn Walton, Ph.D., R.D., from the University of Guelph in Canada, and colleagues used data from the 2011 questionnaire in the Growing Up Today Study 2 to examine whether level of family functioning is associated with frequency of family dinners and dietary intake. The extent to which family dinner frequency was associated with self-reported intake of fruit and vegetables, sugar-sweetened beverages, fast food, and takeout food was assessed among 2,728 adolescents and young adults (age 14 to 24 years). For each dietary outcome, an interaction term for family functioning and family dinner frequency was included. 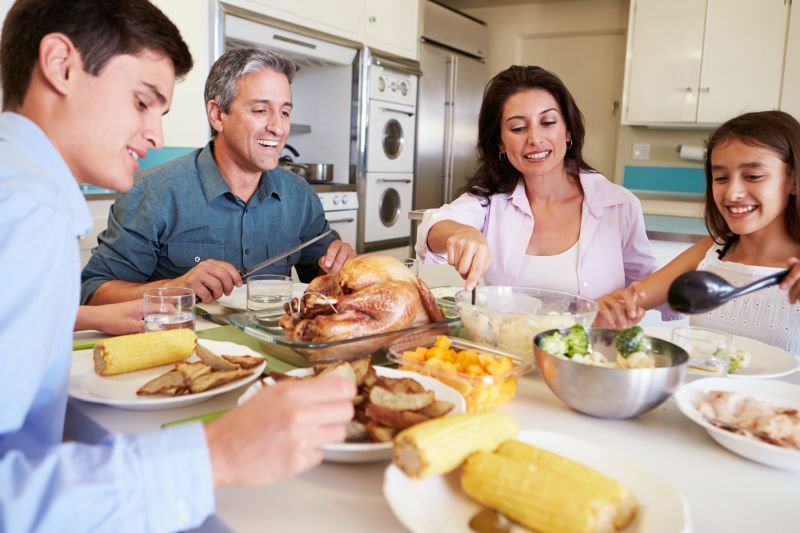 The researchers found that regardless of level of family functioning, more frequent family dinners were associated with higher-quality dietary intake; no significant interactions were observed between family functioning and frequency of family dinner. More frequent family dinners correlated with higher intakes of fruits and vegetables and lower intake of fast food and takeout foods for male and female participants. For male participants only, more frequent family dinners were associated with lower intake of sugar-sweetened beverages. "Future studies should examine ways to support families in eating together frequently as well as methods of keeping children engaged in family meals as they transition into adolescence and young adulthood," the authors write.